The safest way to a summer of swimming fun is to make sure pools are inspected annually by a licensed electrician. For the safest swimming experience, annual pool inspections should only be done by licensed electricians. They should never be done by pool owners or cleaning crews. Older pools are particularly susceptible to hidden electrical dangers, making annual inspections even more important for them. Swimming pool power switches should be labeled so they can be turned off quickly in an emergency. Battery-operated appliances and devices are strongly encouraged over cord-connected devices around swimming pools. If you must use a cord-connected device, keep it at least five feet away from the pool. Working Ground Fault Circuit Interrupters — installed or portable — should be used on all electrical equipment and on all outlets within 20 feet of the swimming pool’s edge. Faulty pool lighting can be a major hazard. A safe approach is to downgrade underwater lighting — especially in older pools — from 120 volts to 15 volts. Some signs of bad underwater lighting include water inside the fixture, the presence of mold or rust, buzzing noises or flickering lights. Faulty pool lighting and bad wiring are the greatest threats this summer, but can easily be eliminated by inspections and maintenance. With summer in full swing, has your swimming pool been inspected within the past year by a licensed electrician or pool contractor? It’s a safe idea to get that done right away. 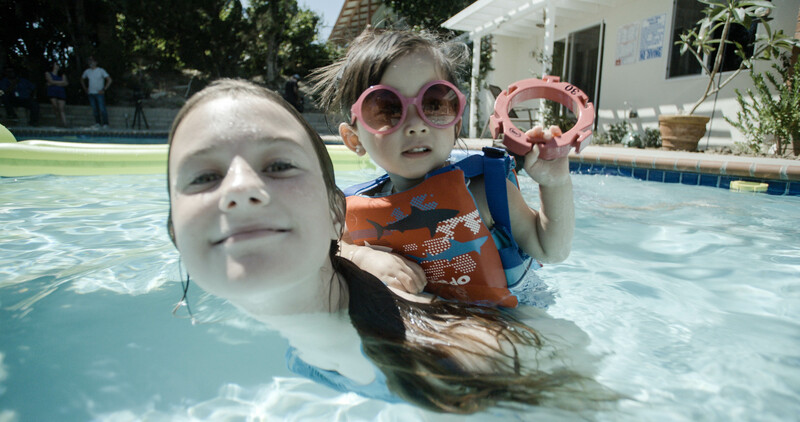 Potential hidden electrical dangers in and around pools, as well as hot tubs and spas, should not be ignored, said Andrew S. Martinez, vice president of Safety, Security & Business Resiliency for Southern California Edison. A reminder of this occurred recently when four people, including two children, were hospitalized after being shocked in a Palm Desert swimming pool. Since 2002, there have been at least 21 electrocutions in swimming pools, according to the Consumer Product Safety Commission. Faulty pool lighting and bad wiring — especially in older pools — are generally considered the greatest potential electrical hazards. Licensed electricians will ensure safe swimming by assuring pool systems are properly grounded and inspecting lighting, wiring connections and junction boxes for safe installation. Licensed professionals will also make upgrades to comply with applicable local codes and the National Electrical Code. To further protect swimmers from shocks, working Ground Fault Circuit Interrupters should not only be used on all electrical equipment but also on all outlets within 20 feet of the water’s edge. Electrical cords should also be kept at least five feet away from pools, hot tubs and spas, with Martinez strongly encouraging the use of battery-operated appliances and devices instead of cord-connected ones. And rescuers in emergencies like the one in Palm Desert should make sure the current is stopped before entering the water or touching a conductive fixture. But, the emergency steps don’t end there. Licensed professionals will also make sure pools comply with applicable local codes and the National Electrical Code. Prevention, however, can help avoid such emergencies.